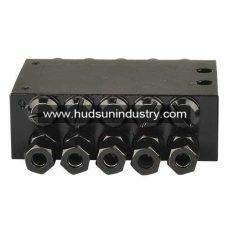 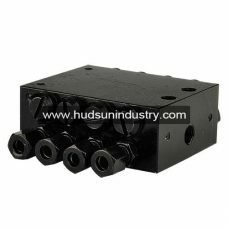 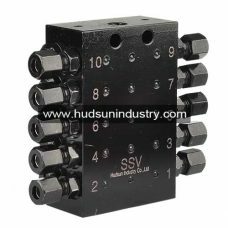 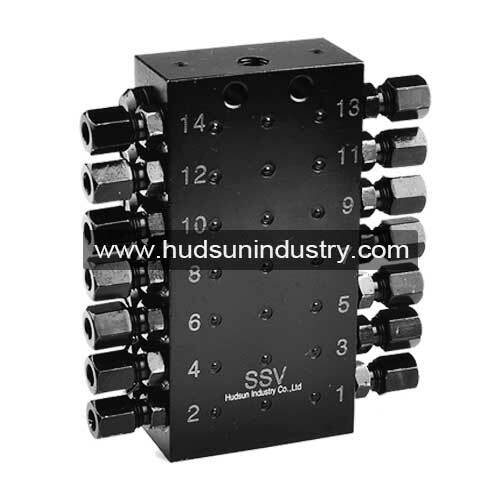 Progressive valve SSV14 metering devices is in block type design without any wearing parts of O-rings, which is easily to be visual for grease feeding volume or electrical feeding control, wild oil and grease applicability. 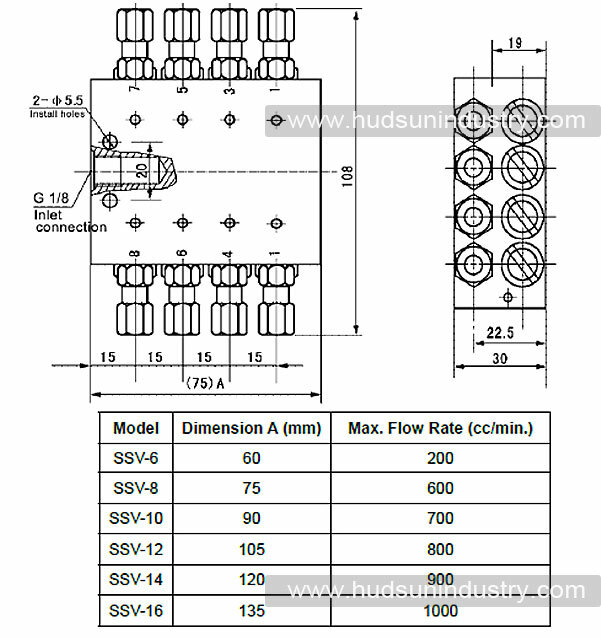 The progressive valve metering device SSV14 is available to be used for high differential pressure, say 10Mpa between each two outlet ports with wild temperature range. 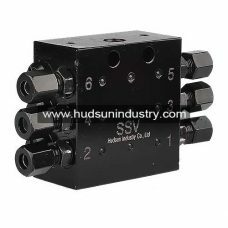 By selection of fine carbon steel, the progressive valve is available to working for pressure 350bar. 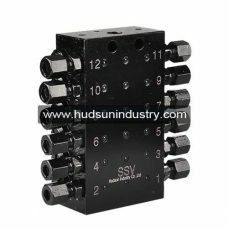 – Progressive valve SSV14 is also be available to be used in double line or single line lubrication system (Central lubricating system). 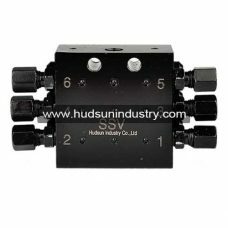 – as secondary metering divider progressive valves in large and small grease or oil circulation system. 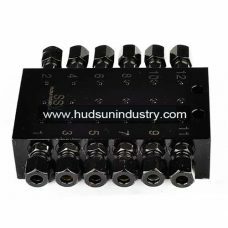 – The better combination of lubricant project refers to design and working conditions such as each individual bearing or requirement spots. 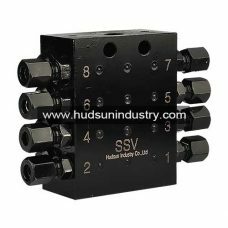 – Except the number 1 or 2 outlet, the other lubricating outlets is available to be adapted to different requirement as per lubrication spot by sealing some certain outlets.